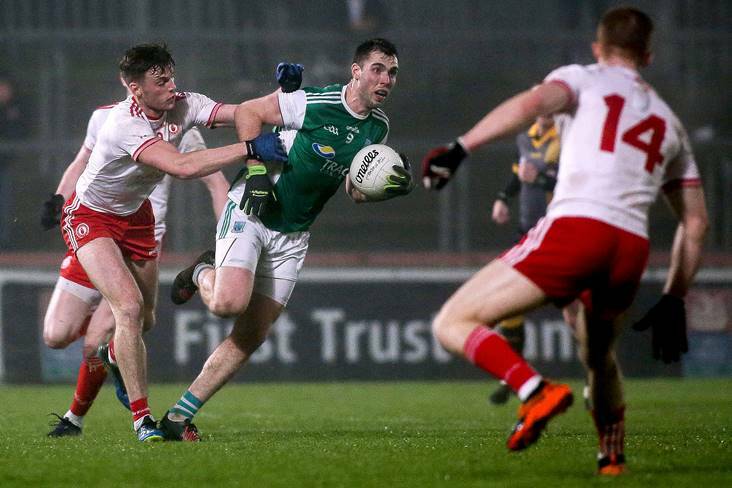 Fermanagh's Ryan Jones is tackled by Tyrone's Brian Kennedy during the McKenna Cup round 3 clash at Healy Park, Omagh. 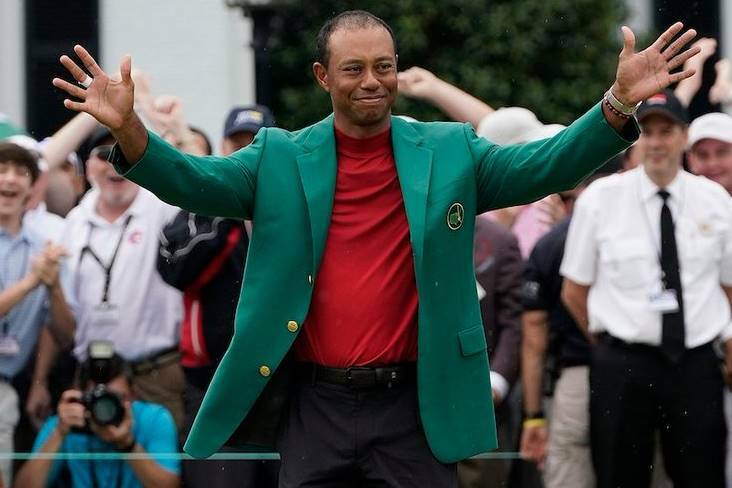 ©INPHO/Lorcan Doherty. Armagh will meet Donegal and Tyrone will take on Derry in Sunday’s McKenna Cup semi-finals. The make-up of the last four was confirmed tonight, with all six Round Three group games taking place. The Orchard County, the Red Hands and the Ulster champions all progressed by topping their respective sections with 100% records, while Derry advance as the best-placed runners-up. 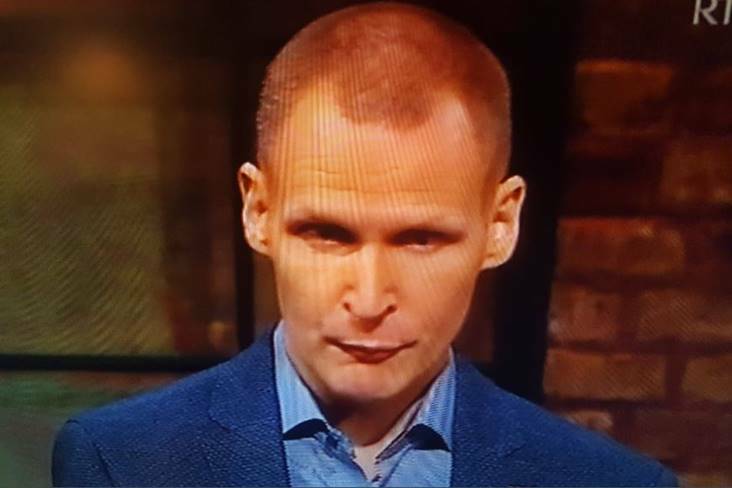 They won by 16 points tonight, overtaking Cavan, who lost by eight. Armagh made it three wins from three when edging out Monaghan by 0-13 to 1-9 in a hard-fought contest at the Athletic Grounds. The Farney County led by three points at the break, 1-5 to 0-5, thanks to Jack McCarron’s third-minute penalty but second-half scores from Niall Grimley, Aidan Forker, Jamie Clarke, Ryan Kennedy and Rian O’Neill set up a grandstand finale, with Stefan Campbell clipping over the winner eleven minutes from time. 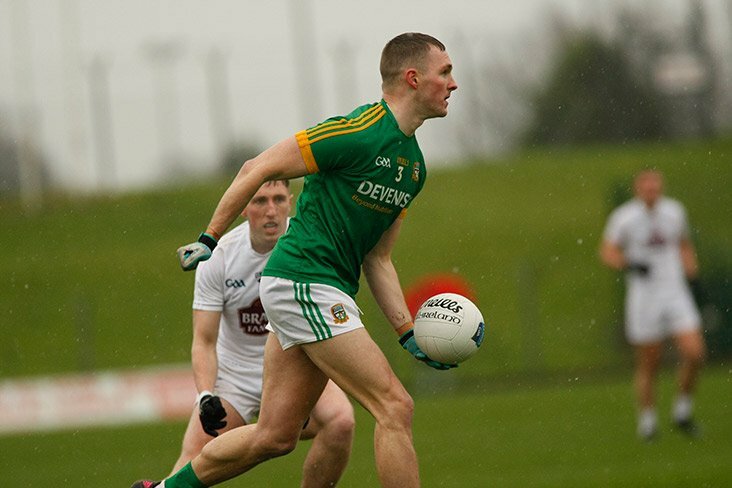 Holders Donegal continued their fine pre-season form when dispatching 14-man Cavan at Ballybofey, 1-20 to 1-12. Michael Langan lofted over nine points for the winners and Jamie Brennan chipped in with 1-4. 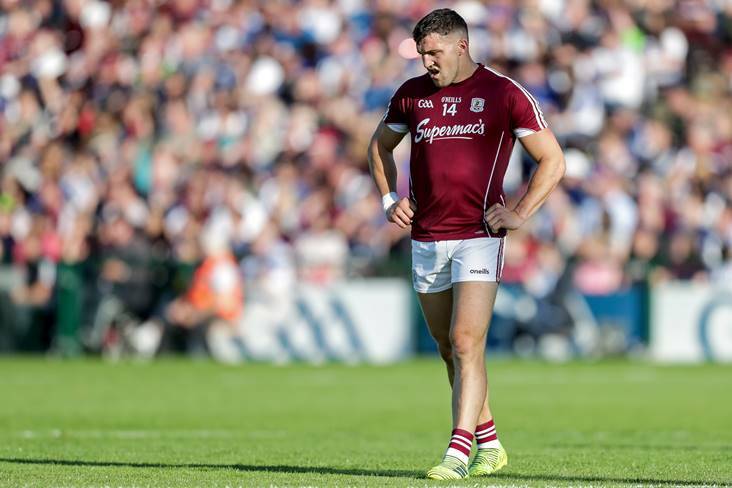 The Breffni County were stung by the eighth-minute dismissal of David Phillips and the margin of their defeat sees them exit the competition. 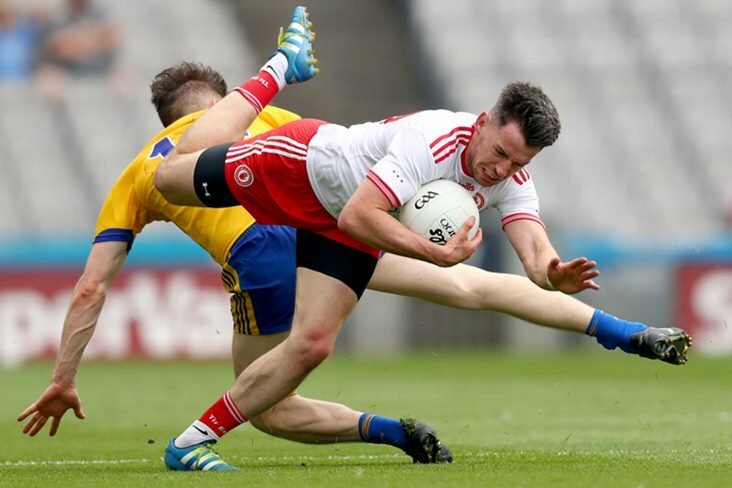 Despite failing to score from play until the 43rd minute, Tyrone ground out a 0-10 to 0-4 victory over Fermanagh in a dour affair at Omagh, with Peter Harte converting five frees for the winners. It was 0-2 apiece at the break but Mickey Harte’s men registered eight of the last nine points to win comfortably in the end. Their semi-final opponents on Sunday will be neighbours Derry, who followed up last weekend’s win at Enniskillen with a comprehensive 1-20 to 0-7 defeat of UUJ at Owenbeg tonight. Emmett Bradley netted as the Oak Leaf men led by 1-7 to no score at the break. Derry will have all eight of their university players available for this weekend as all three college sides are out of contention. Elsewhere, Antrim closed out their account with a superb 1-14 to 0-9 victory over St Marys at Woodlands, where Ryan Murray netted, while goals from Pat Havern (2), Declan McClements and Shane Annett helped Down to a 4-18 to 1-5 win against Queens. Armagh - B Hughes; R Kennedy (0-1), A McKay, C Mackin; M Shields (0-1), G McCabe, A Forker (0-2); S Sheridan (0-1), C Vernon; N Grimley (0-2f), R Grugan (0-1), J Og Burns; S Campbell (0-3), J Grugan, R O’Neill (0-1). Subs: J Clarke (0-1) for J Grugan, J McElroy for C Vernon, P Casey for S Sheridan. 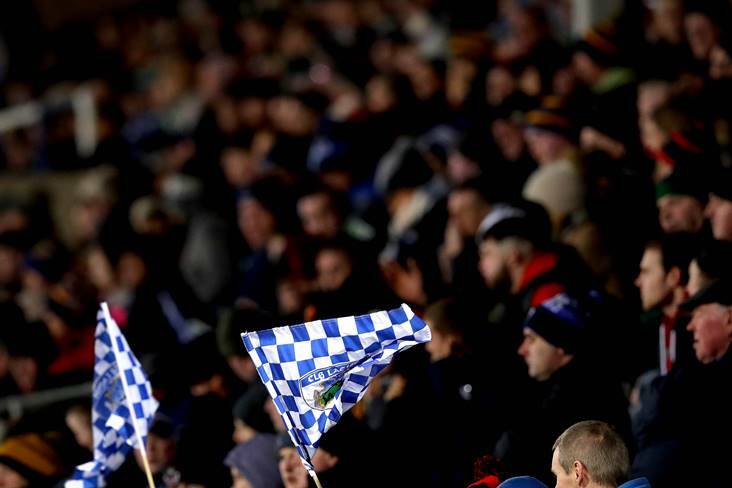 Monaghan - R Beggan (0-3f); J McCarron, K Duffy, R Wylie; J Mealiff, B Kerr, G Doogan; F Kelly, C Boyle; T Kerr (0-1), Jack McCarron (1-3, 1-0pen, 0-2f), D Malone; D Garland (0-1), D Freeman, S O’Hanlon. Subs: V Corey (0-1) for J Mealiff, O Duffy for D Freeman, M Bannigan for T Kerr, D Mone for John McCarron, D Wylie for G Doogan. 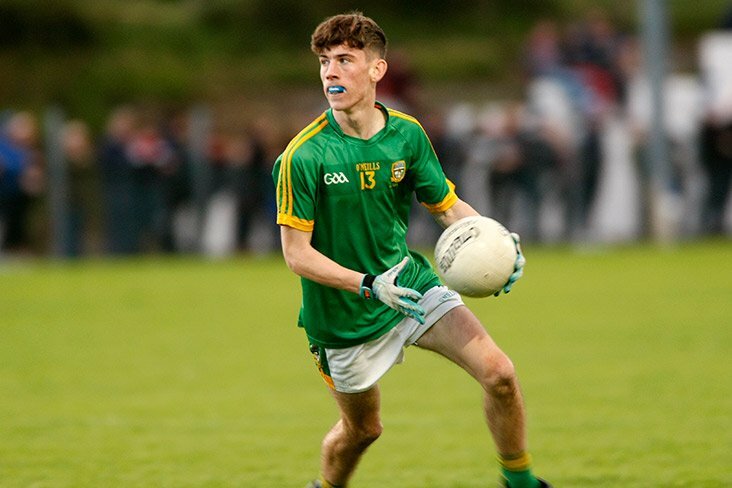 Donegal - S Patton; C Ward, B McCole, C Morrison; R McHugh (0-1), E Doherty, P Brennan; H McFadden, J McGee; N O’Donnell (0-3), M McElhinney (0-1), C McGonagle; M O’Reilly, M Langan (0-9, 4f), J Brennan (1-4). Subs: P Mogan for P Brennan, J Campbell for M O’Reilly, O Gallen (0-2) for M McElhinney, L Connor for J Brennan, P Dolan for R McHugh. Cavan - R Galligan (0-2, 1f, 1'45); D Phillps, P Faulkner, J McLoughlin; C Brady, M Reilly (0-1), C Rehill; M Argue, J Galligan; P Graham (0-1), S Smith, P Smith (0-3, 1f); C Bradley, J Smith, C Madden (0-3). Subs: C Moynagh for P Faulkner, L Fortune (0-1) for J Smith, N Clerkin for J Galligan, C Mackey (0-1f) for P Smith, K Tierney (1-0) for S Smith. 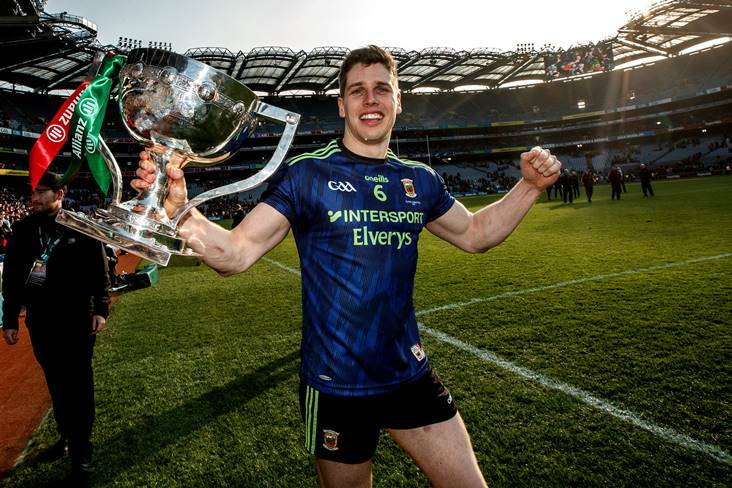 Tyrone - N Morgan (0-1f); L Rafferty, HP McGeary (0-1), C McLaughlin (0-1); B McDonnell, R Brennan, P Harte (0-5f); C Grugan (0-1), B Kennedy; N Sludden, C McCann, R Gray; D Mulgrew (0-1), C McShane, R O’Neill. Subs: K Coney for R Gray, D Canavan for N Sludden, R Sludden for D Mulgrew, D McClure for C Grugan, A McCrory for B McDonnell. Fermanagh - T Treacy; J Cassidy, L Cullen, K Connor (0-1); A Breen (0-1), J McMahon, C McManus; T Clarke, R Jones; U Kelm, K McDonnell, D Teague; C Corrigan, C Jones (0-1), C McGee. Subs: R Lyons for D Teague, G Jones (0-1f) for K McDonnell, D McGurn for T Clarke, C Flaherty for C McGee, S McGullion for J McMahon. 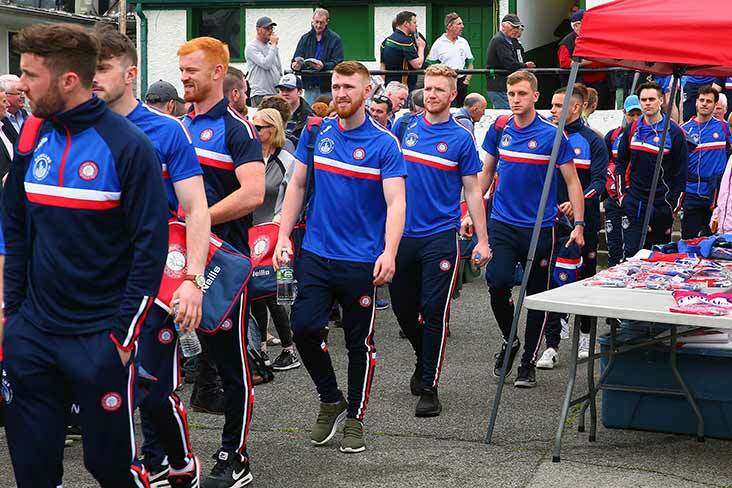 Derry - T Mallon; E Concannon, C Mulholland, S Quinn; R Dougan (0-3), E McGill, J Rocks; C McKaigue, C McFaul (0-2); C McAtamney (0-2), E Bradley (1-6, 0-3f), P Coney; P Cassidy (0-2), E Lynn (0-5, 1f), D Hughes. Subs: M McGrogan for E Bradley, P McGrogan for J Rocks, S McKeever for E McGill, M Bradley for D Hughes. 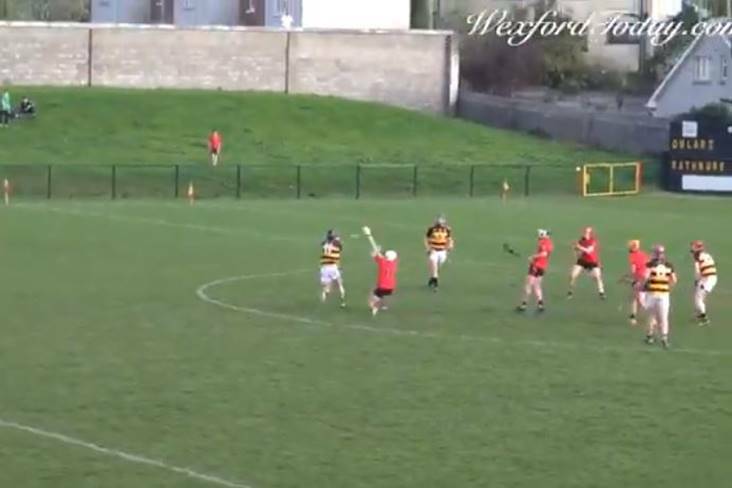 UUJ - T McConville; E Murray, P Teague, O Duffin; P Laverty, M McKernan (0-1), D Gallagher; R Mullen, O McConvey; N Donnelly, J Doherty, D Cassidy; C Doherty, C O'Hagan, L Harney (0-1). Subs: R Jones for O Duffin, K McKaigue for P Teague, D Jones for E Murray, J Connery for O McConvey, L Brennan (0-5, 3f) for C O'Hagan, C Donaghy for R Mullen.